A time-honoured starting point for creating interesting compositions is done thus. Imagine that the area of your image is divided into nine equal portions by three evenly spaced vertical lines and three evenly spaced horizontal lines. One compositional formula is to arrange the major elements of your composition so that they fall either into any of the boxes created by this imaginary grid, or onto any of the intersections. In Figure 3e we see that the tree trunk closely follows the right vertical, while the fence and grass follow the lower horizontal. In Figure 3f we see that the horizon is roughly at the upper horizontal; the foreground reeds and grass shoulder follow are bounded by the lower horizontal; the grass shoulder also fills the lower right box, which is echoed by the leafy branch in the upper left. Strangely, I'd say that the rule of thirds version (3j) is more serene and stable than dynamic. The pure symmetry version (3i) has plenty of energy, perhaps that of a ballerina poised on her toes, while perhaps erring on the side of being precious. But 3h, the slightly off-centre version, is the crop I chose for this image. To me there is a subtle tension in the slight asymmetry. It's not a matter of right and wrong, but of what works for you. Do the same with some of your own pictures. Also with your own pictures try to find at least one that seems to work as a rule of thirds composition, whether horizontal or vertical. On page 1, referring to the picture of Frontispiece #1. 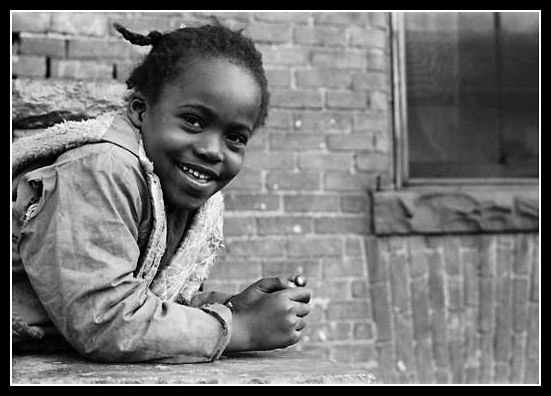 Girl, Detroit 1966, I asked "Why is the young lady in the above picture not centered in the frame? Was there some reason to include the window?". Similarly, referring to Frontispiece #2. 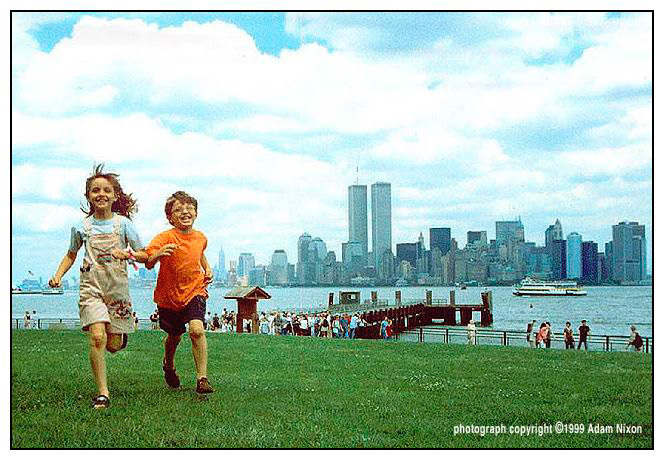 Twin Towers, 1999, I asked "Would you have put your own children off to one corner of the frame, putting the twin towers and ferry dock in the centre?". How would you answer these questions, now?